Made this little cutie for my sister’s birthday~! I purchased the pattern from Christina’s Yarn Crafts on Etsy. I tried something a bit different with this jelly, ie. making separate pieces then stitching together instead of directly crocheting onto the body/head. The “skirt” looks better than the direct stitch though this method takes much longer to assemble… I am hoping it is just a learning curve. 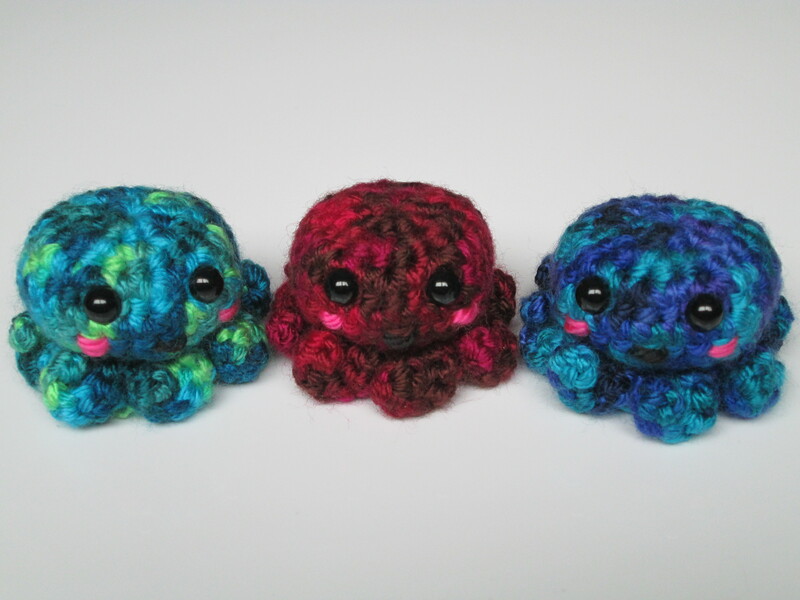 My mom suggested making the little tentacles longer which I will be experimenting with next. 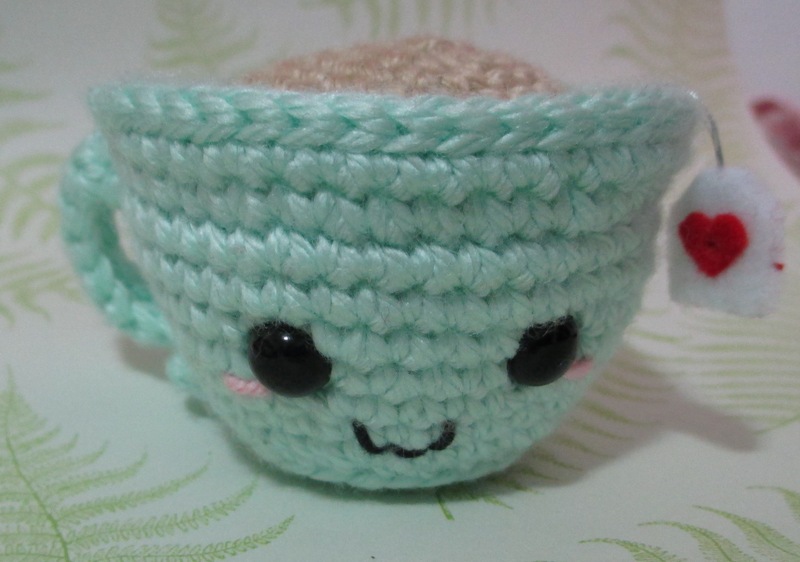 Hopefully I will have a finalized crochet pattern by August. What do you think of the Jelly? Today Nina and I have been busy snapping photos and listing items in my Etsy shop! …annnd plush will be coming a little bit later. 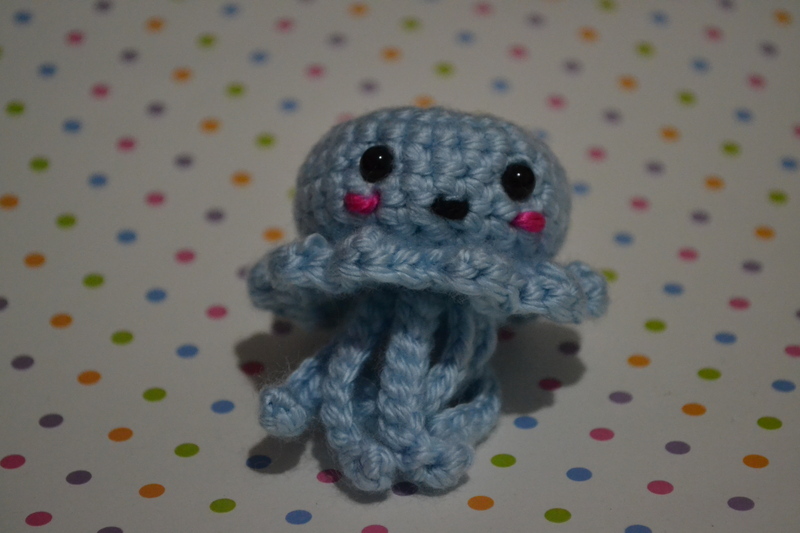 Meet my newest octopus Ichigo Tako-san! Such a yummy disguise!